Problems are scaffold to encourage meaningful inquiry & deep understandings. Customizable problems aligned with investigations support repeated reasoning & skill development. In class investigations to promte student learning and aligned PowerPoints to guide teacher discussions. Linked videos and animations & videos foster student engagement and understanding. Our Materials are research developed and refined to impel student success & learning. Our support staff and professional development team will assure your successful implementation of Pathways curriculum. 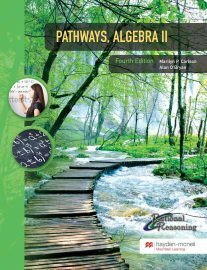 Pathways materials are fully developed for beginning algebra through precalculus mathematics. Course content can be customized to your syllabus. Aligned calculus materials are currently under development. Our materials and professional development are based in 25 years of sustained inquiry into student learning of precalculus and beginning calculus. We continually adapt our materials based on data and input from our users. Show the world what your students have to say ! I really liked the investigations we did during class. The questions kept me learning and engaged. When the teacher lectured I was able to understand. I also got more and more comfortable in explaining my solutions and liked seeing mathematics from different viewpoints. Before this class I thought math was just about memorizing rules. This is the first time I’ve been able to understand the word problems. This class is making me a better thinker in all my classes. I now expect ideas to make sense and know that I am smart enough to figure things out instead of waiting for teachers to tell me what to do. 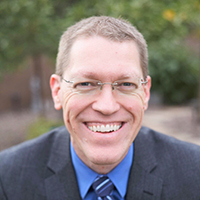 Dr. Carlson has served as Director of First-Year Mathematics at the University of Kansas and Arizona State University, and led the development of a Ph.D. concentration in mathematics education in ASU’s School of Mathematical and Statistical Sciences. She is the author of more than 60 published research papers. Dr. Carlson served on a National Research Council panel investigating advanced mathematics and science programs in U.S. high schools, and has participated in policy deliberations at state and national levels. Dr. Carlson has been an invited speaker at numerous international conferences, is a consultant to peer universities seeking to improve undergraduate programs in mathematics; has traveled to study school mathematics as practiced in China, Japan, and Singapore and is engaged in national efforts to improve U.S. programs that educate and support teachers. Grant Sander is a researcher and curriculum developer with special exGrant Sander is a researcher and curriculum developer with special expertise in designing innovative online instructional support materials. He teaches math and preservice teacher courses at ASU and has been involved in leading numerous professional development workshops for both secondary and undergraduate instructors. He has studied theoretical mathematics and is a self-taught web developer who leverages research on students’ mathematical learning of key concepts to design and research online instructional materials. His online materials are engaging and showing dramatic gains (as compared to traditional instruction) in student learning of key ideas that are foundational for calculus.pertise in designing innovative online instructional support materials. He teaches math and preservice teacher courses at ASU and has been involved in leading numerous professional development workshops for both secondary and undergraduate instructors. He has studied theoretical mathematics and is a self-taught web developer who leverages research on students’ mathematical learning of key concepts to design and research online instructional materials. His online materials are engaging and showing dramatic gains (as compared to traditional instruction) in student learning of key ideas that are foundational for calculus. 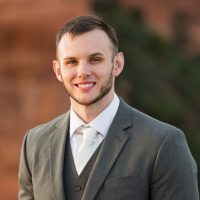 Alan O’Bryan is a Senior Research Analyst in the School of Mathematical and Statistical Sciences at Arizona State University. 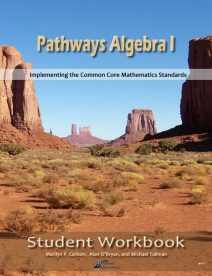 He is a co-author on the Pathways curriculum materials, CEO of COSma Learning, Inc., and a former high school teacher with Gilbert Public Schools in Arizona. Over the past 10 years Alan has led professional development workshops for thousands of mathematics teachers across the nation. 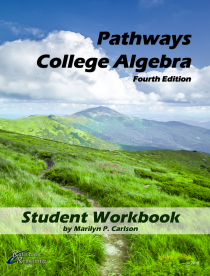 His workshops are most noted for their effectiveness in helping teachers acquire deep understandings and connections among key concepts of precalculus level mathematics. Teachers who attend his workshops acquire knowledge and methods for realizing dramatic increases in their students’ learning. Prior to his current position at ASU Alan was a professional development leader and taught secondary mathematics in Gilbert Public Schools. Alan has conducted classroom research and is currently investigating student learning of online instructional materials.